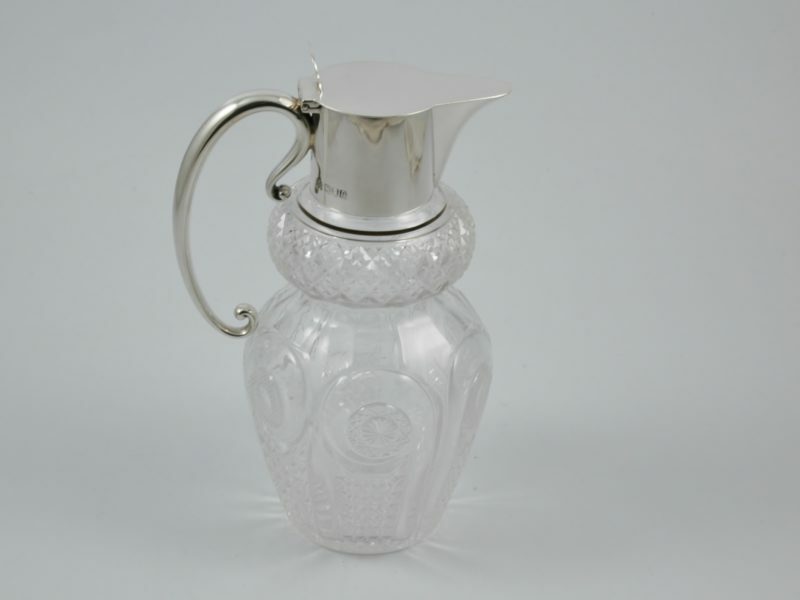 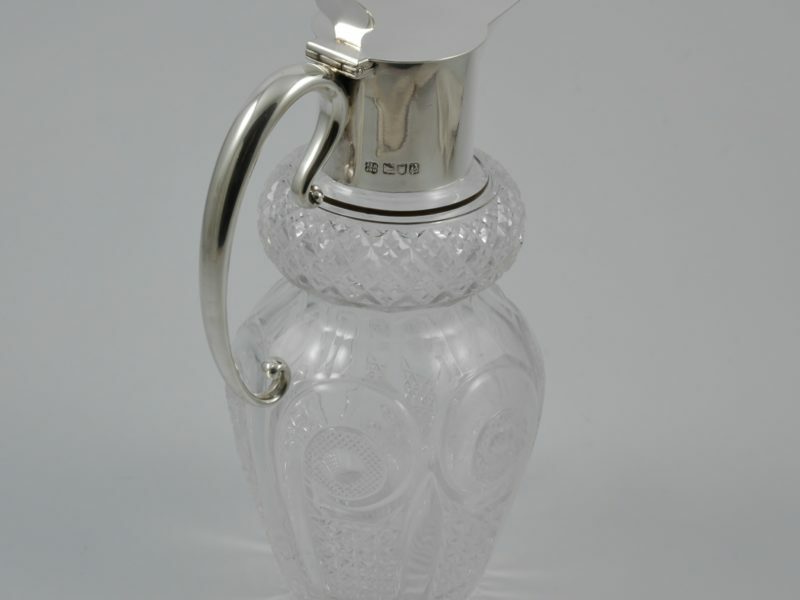 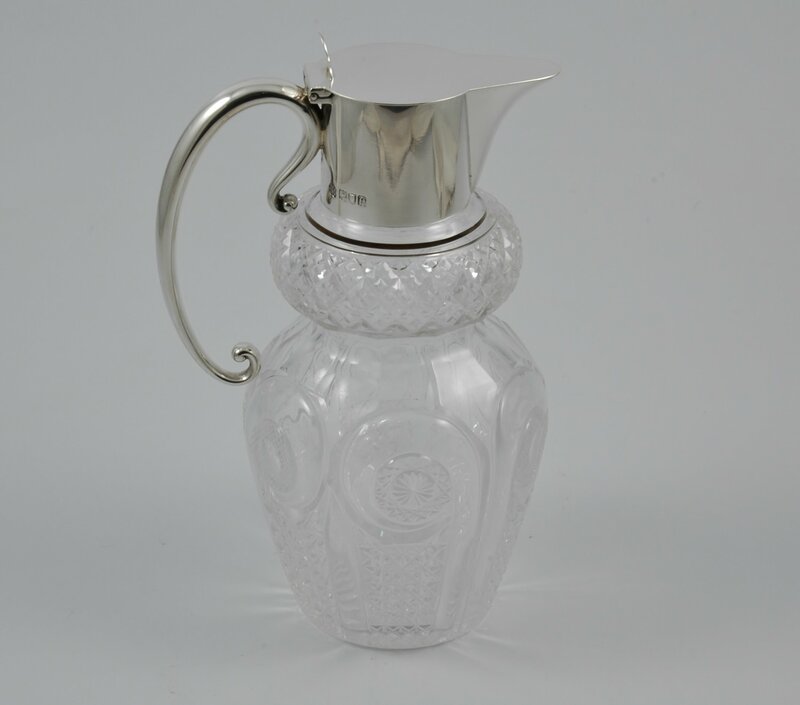 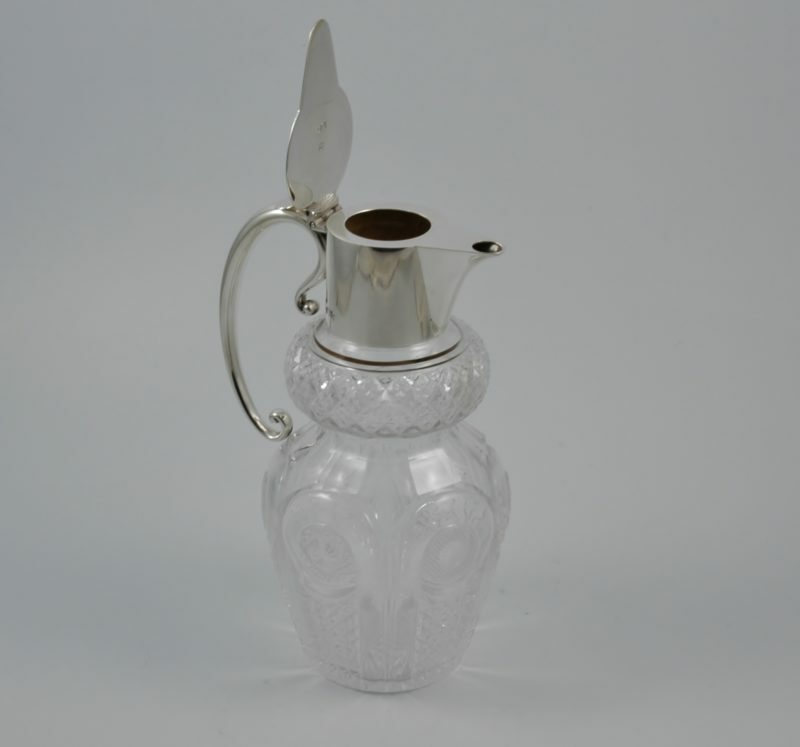 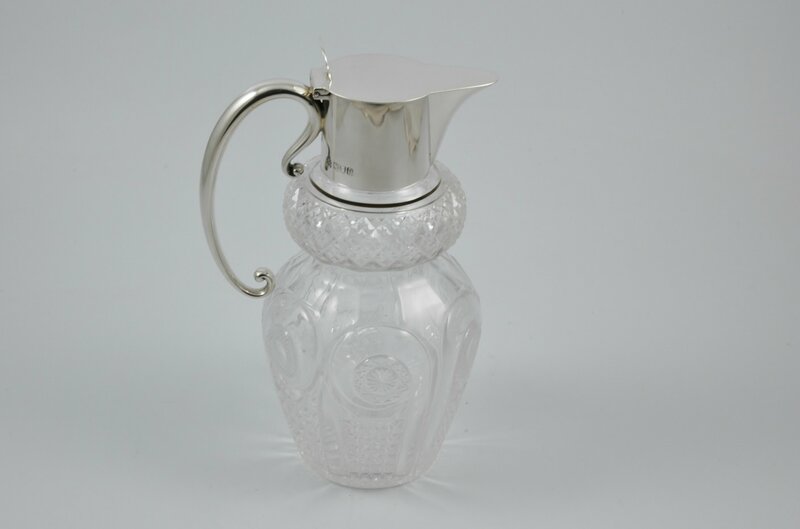 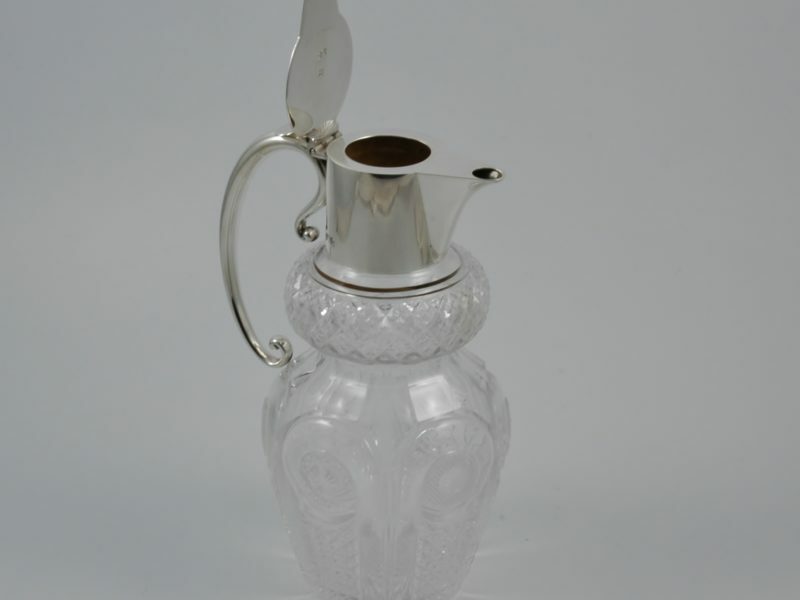 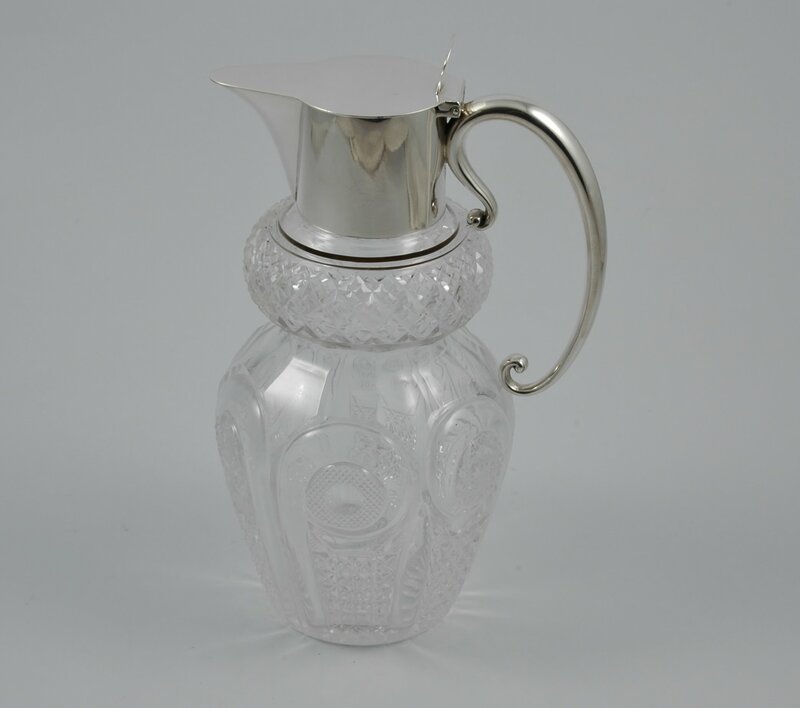 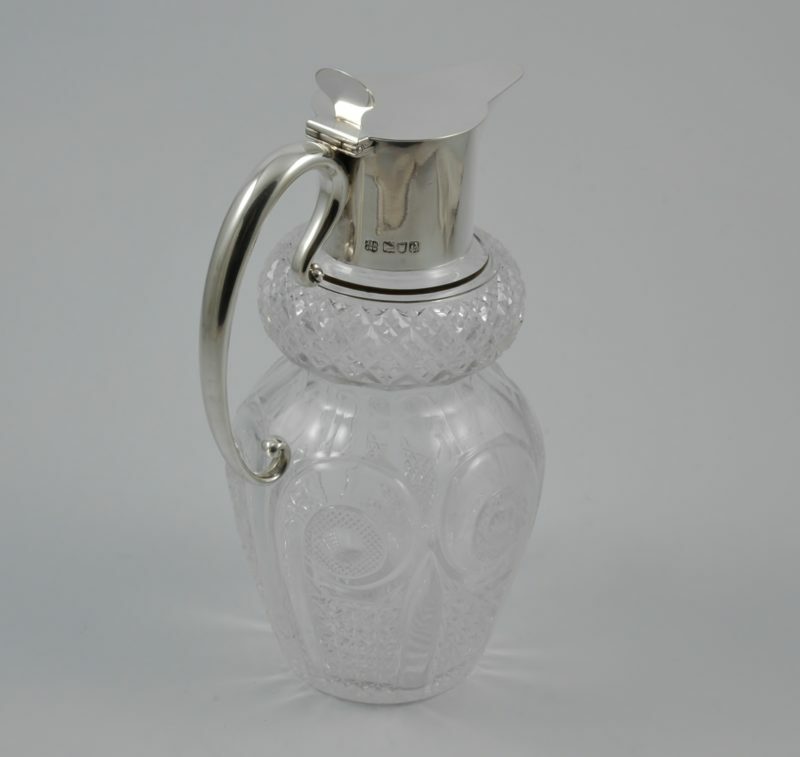 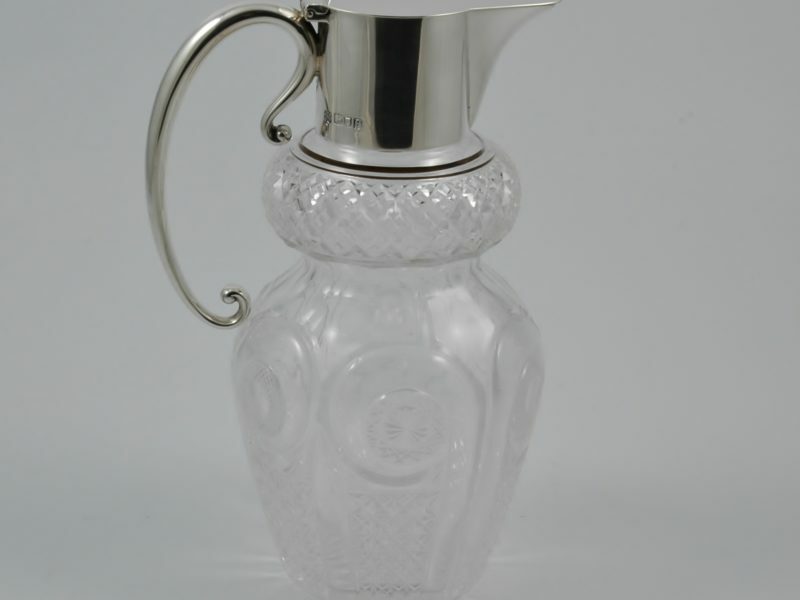 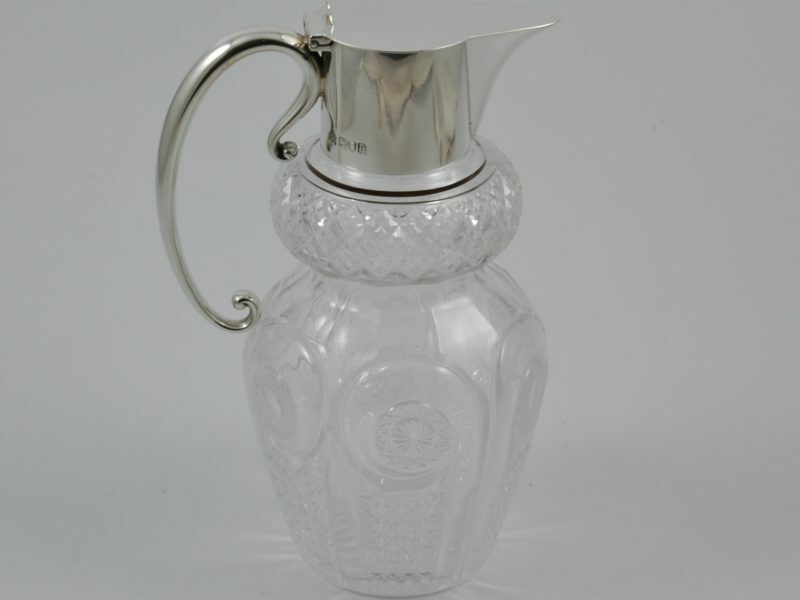 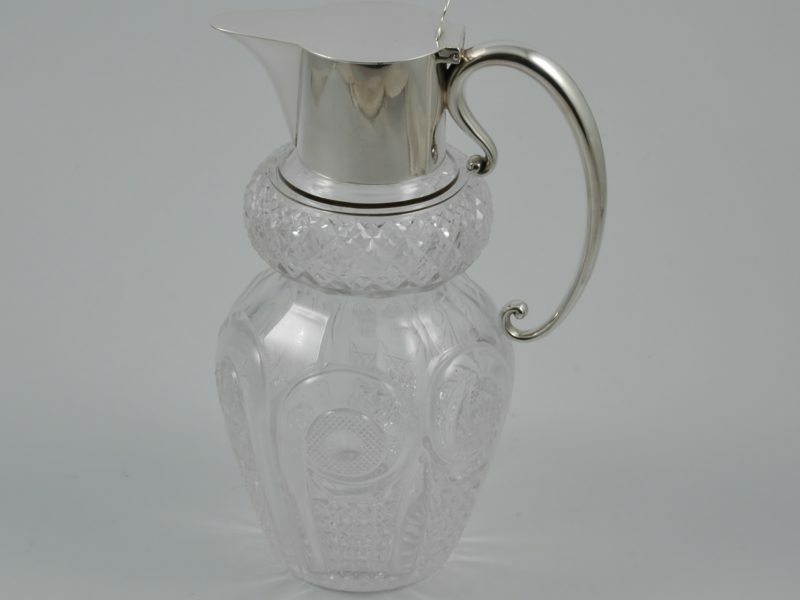 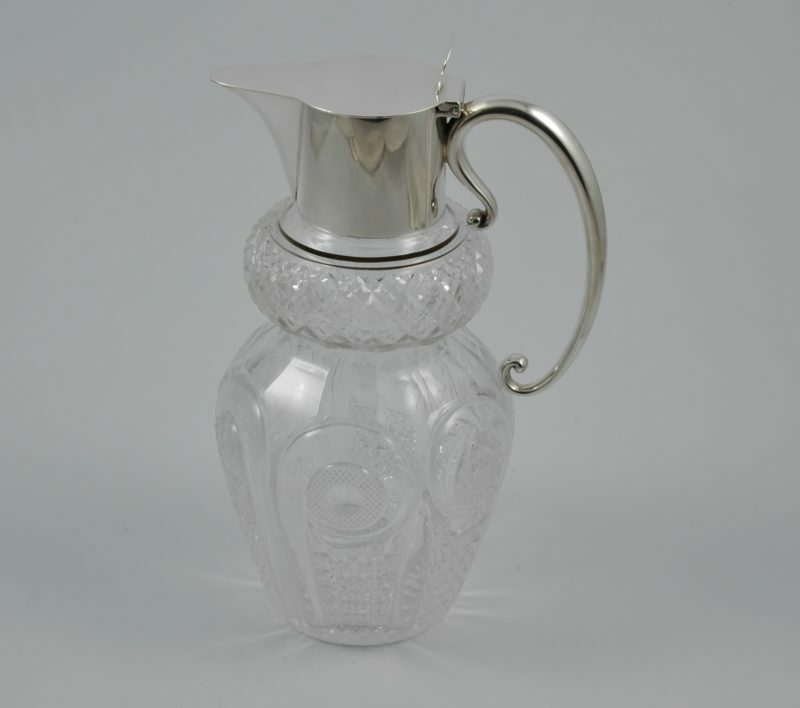 Victorian silver and cut glass Claret jug marked for London 1900. Made by Hukin & Heath. 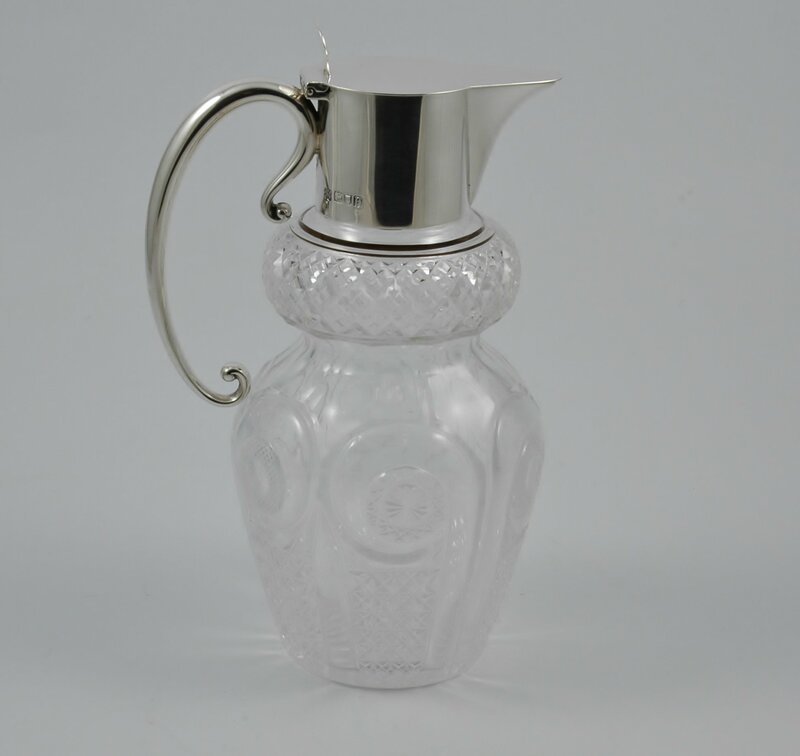 Dimensions: 22,5 cm high by 7,5 cm base diameter.